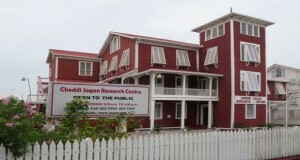 The Cheddi Jagan Research Centre Inc (CJRC); a company closely associated with the opposition People’s Progressive Party (PPP), on Wednesday claimed partial victory against government’s efforts to quash a 999 year lease for Red House where the centre is located. 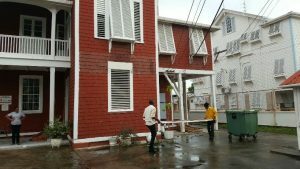 CJRC lawyer, Anil Nandlall said Chief Justice, Roxane George granted two conservatory orders, essentially granting the centre temporary use of Red House, High Street, Kingston until the case is heard and determined. The Attorney General’s Chambers has not commented on the High Court’s decision. Nandlall explained that one of the Conservatory Orders prevents or restrains the State or any of its agents “from ejecting or evicting” CJRC or any of its servants or agents from any of the leased property called Red House, comprising lots 65, 66 and 67 High Street, Kingston, Georgetown “or in any manner whatsoever interfering with the Applicant’s/Plaintiff’s occupation and/or possession and/or peaceful and/or quiet enjoyment” of the leased premises until the hearing and determination of this action or until further Order of the Court. The second interlocutory Conservatory Order prevents the State or any of its agents or servants “from removing any documents, photographs, artifacts, souvenirs, furniture, fixtures and fittings, appliances and/or any other movable property” from the leased property. FLASH BACK: Ministry of the Presidency workers fetching away the Cheddi Jagan Research Centre’s sign after pulling it down from the front of the building. The records show that Red House is described as the Lease of Government Land for Educational/Research Purposes, number 3068. During the early days of the legal battle, Ministry of the Presidency staff had been deployed to Red House where they had pulled down the sign board. Police, armed with rifles, have since been deployed to guard the property. The CJRC staff has since removed all major works and other property associated with the late Dr. Cheddi Jagan, widely regarded as the architect of Guyana’s first mass-based political party.